Arms races confront us like never before. 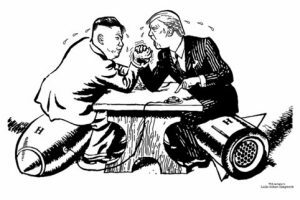 Literal arms races: Korea, the US, Russia, China and the Middle East. 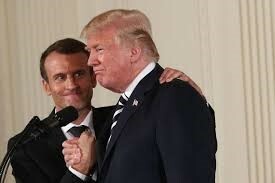 Economic arms races: tariffs, investment bans and restrictive trade policies. Media arms races: Twitter, Facebook, streaming services and network television. And commercial arms races between B2B competitors and between B2B buyers and sellers. After World War II, as business schools became a driving force for commercial excellence, the tools of data-driven, rational analysis became the primary weapon in commercial arms races. Business process flow charts, simulations and calculators, based on economics, game theory and statistics, developed at the speed of Moore’s law. Even as Kahneman, Tversky and Thaler carved out space for irrational behavior, the irrational emerged as isolated behavioral exceptions, not as prescriptive rules for business best practices. Rational Buyers. The resulting impact of analytics on B2B buying is clear. Buyers do the math. A CFO Magazine survey of Buyer Executives found that over 90% of enterprise buyers involve their finance teams in selecting vendors, developing business requirements, and preparing/reviewing the financial justification for buying decisions. A quantitative business case, as part of the B2B buying process, is the rule, not the exception. Some sales teams have been faster to respond to analytical buyers than others, but the rational sales counter is to provide tools for analytical sales conversations. If buyers are doing the math, sales teams can’t afford to fumble buyer conversations about ROI, TCO and the business case to buy. Value Calculators seem like the natural sales weapon in the face of procurement processes with embedded analytics. Beyond Rationality for B2B Sales. Perhaps someday business buying teams will be replaced by black-box, procurement automation systems supported by machine learning and artificial intelligence. Value Calculators might be the only weapon your sales automation system will need if and when analytical proof of your solution’s optimality is sufficient for a purchasing supercomputer to make the right decision. But until then, buying teams will behave in random ways based on building committee consensus among a team with disparate members grappling with many problems, diverse objectives and imprecisely defined organizational buying processes. 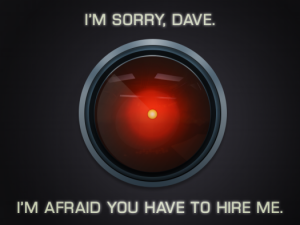 Buying processes will remain human for the foreseeable future. Create powerful buying moments for buying stakeholders. Sales Team Conversations Throughout a Buying Process. In a recent white paper, we provided a roadmap showing how Value Propositions support sales team objectives in light of B2B buying objectives. Buying processes may differ by business and by the purchases under consideration, but most B2B organizations operate sequentially as they work through a decision to change and a decision to buy. First they identify and prioritize new alternatives before selecting alternatives for evaluation, usually by committee, before they engage in the contractual, negotiation and approval processes it takes to make a financial commitment. To summarize, early in the process, sales aims to connect with potential buyer sponsors, qualifying individuals and accounts while differentiating your solution. The goal is to get sponsors, who are willing and able to commit time and resources, to evaluate your solution. The objective at this early stage is not to prove that you are better, but is instead to move the buyer forward. This stage is usually navigated by a sales rep with limited presales support and doesn’t take a lot of customization, math or proof. But the likelihood of eventual sales team success goes up threefold if sales reps can establish themselves early as the first vendor to communicate a clear vision of value. Presenting customer value early in the form of a Flexible Case Study increases qualified sales opportunities and moves buyers forward to invest time and energy in evaluation. In the middle of the process, additional sales team members often get involved as buyer teams evaluate your solution. In broadening the team-to-team dialog, it is important that your sales team establish its credentials and engage customer stakeholders to position themselves as trusted advisors. 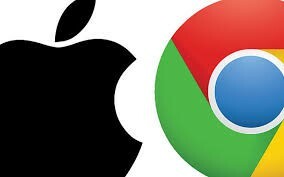 At this point, customizing a solution is often a key objective. Being ready to prove, or at least persuade, stakeholders that your solution is better for that customer is usually necessary. A strong Value Proposition can make the transition in the middle of the sales cycle from being a Flexible Case Study into being a more tailored, more specific Customer Value Analysis. Later in the buying process, sales teams use Value Propositions to achieve their primary objectives in closing the right deal at the right price. At this stage, there is a need for speed and a need to stay connected to the purchasing process. 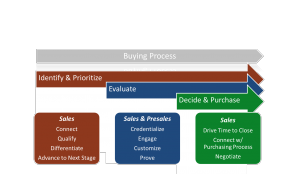 Value Propositions drive speed in a buying process when a buying sponsor understands the deliverable in terms of a Business Case to Buy shared with a sales account executive. That Shared Business Case becomes a stronger basis for sales to remain engaged in an otherwise opaque and inaccessible procurement process. Perhaps most importantly, a great Value Proposition becomes a strong basis to negotiate price/value tradeoffs confidently, based on the deeper customer understanding created by a Value Proposition. Create Powerful Buying Moments. 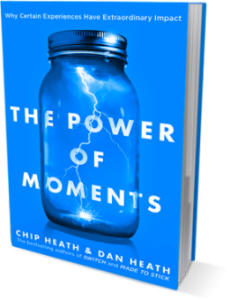 In their recent book, The Power of Moments, Chip and Dan Heath emphasize that extraordinary moments have extraordinary power, out of proportion to most interactions, in changing behavior and in creating lasting memories. The Heath brothers highlight the elements of powerful moments that make those moments impactful and memorable. Powerful moments are not merely rational. They create a sense of Elevation by building peaks and breaking the script. Impactful moments create Insight where the light bulb goes on, as subjects trip over the truth or stretch for insights. 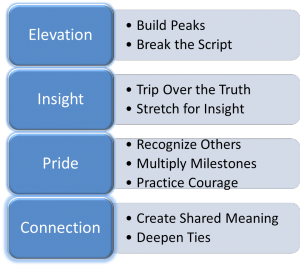 Impactful moments generate Pride, sometimes by recognizing others, sometimes by highlighting milestones and frequently by practicing courage. Finally, impactful moments are inherently based on community Connection as shared meaning is created and as ties are deepened. Let’s illustrate how Value Propositions create powerful moments through a buying process. Early in a buying process, as buyers are identifying and prioritizing changes to consider, Flexible Case Studies provide moments of Insight as buyers realize that they have a problem or that there may be a solution. Flexible Case Studies create the opportunity for moments of Connection that build trust. The use of case studies provides a rep with a springboard to customer-centric conversations, helping to steer early discussions toward customer business problems and toward the way your solution can solve them. Your solution’s ability to provide tangible business outcomes for other customers featured in case studies, shows what you can do for a customer and invites a buyer to realize what your team can do for them. Supporting or sponsoring change is an act of courage that takes confidence and a vision of milestones and recognition. Case Studies discussed in terms of demonstrable results generate powerful, impactful moments. In the middle of a buying process, buyers evaluate a solution, often in discussion with a broader sales team including presales professionals. Solution consultants, subject matter experts and sales engineers bring their expertise to bear on this stage of the process, but for them to become trusted advisors they need to engage in the customer’s problems, needs and business. As a Flexible Case Study makes the transition to a tailored Customer Value Analysis, the deeper engagement between buyer and seller build trust and confidence. The discussion of business problems that are part of the natural flow of value conversations generate “aha moments,” those flashes of insight that move a stakeholder toward supporting and embracing change. Buying teams sometimes include members with strong egos or strong political behaviors. Those strong egos and controlling instincts can be positively channeled as objections and “what ifs?” are addressed through value discussions and as buyers are invited to evaluate your solution through a customer-centric framework. When your sales teams create stakeholder moments, they generate real and lasting customer ownership of the success of your solution in their business. Later in the sales cycle, as the buying process becomes more uncertain and inaccessible, a Shared Business Case to Buy can create powerful closing moments as buying sponsors realize it is time to cut through indecision and potential internal conflict and make a decision to move forward. The Shared Business Case to Buy becomes a reference point for staying connected that prompts a buying sponsor to reach out to sales with questions and with requests for further input. A sponsor views sales as an aligned partner as the sponsor gets internal approvals. A Shared Business Case to Buy drives insight within a buying team as they consider how hard to negotiate in the face of price-value tradeoffs presented by sellers. The decision to sign on the dotted line and launch an implementation is supported by the sense that this solution will generate tangible business outcomes that create Elevation for the buying team. Value Propositions as Platforms for Customer Collaboration. Compete with your competitors. Partner with your customers. The best B2B enterprises deploy Value Propositions to improve B2B sales performance, addressing sales challenges in a way consistent with an organization’s sales training, throughout the B2B sales cycle. It isn’t hard to start value selling. Value Propositions provide core sales content that helps sales teams communicate what your solution does for your customers. Value Propositions are a shared basis for collaboration that help sales teams win.